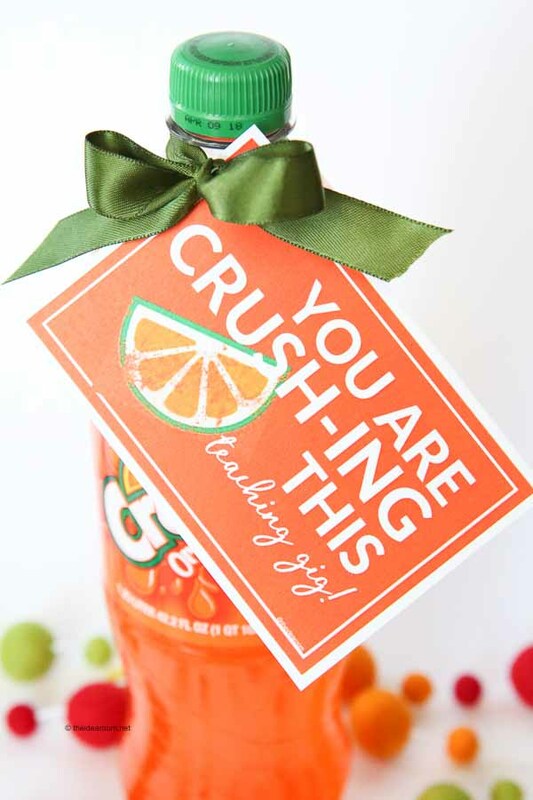 Are you looking for a fun teacher appreciation gift? 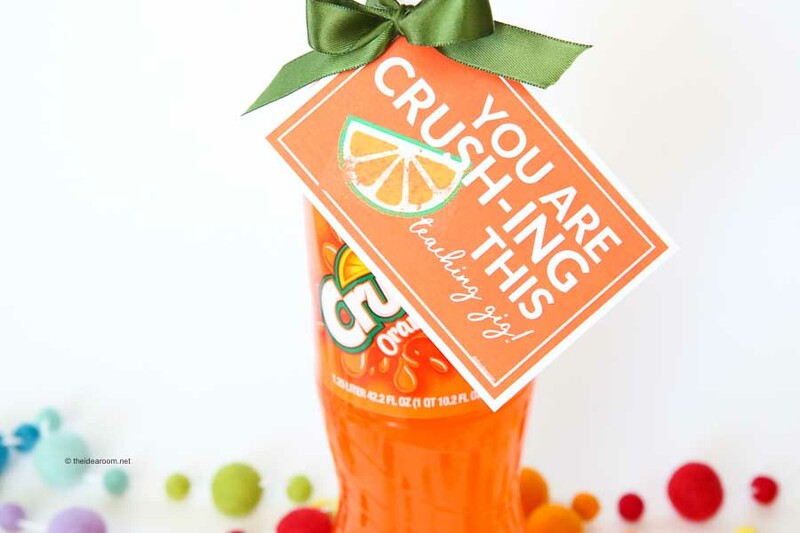 This fun crush soda printable gift tag is perfect for tying to a soda and gifting to your favorite teacher! Hi. I’m Amy. I am excited to be here today participating in Tauni’s Teacher Appreciation Gift Idea Series! I am a huge fan of Tauni’s who I have been fortunate to be friends with online and in person for several years! She is someone I look up to in so many ways! You can normally find me over at The Idea Room! I would love for you to stop on over and check it out! I can’t believe we are heading into the last term at school! It has gone so fast for me this year! The spring always seems to fly by. 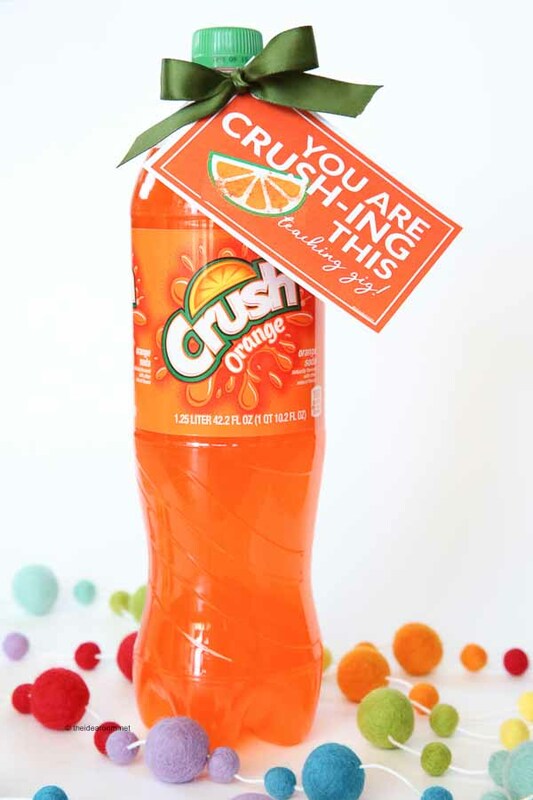 That means that it is time to start thinking about Teacher Appreciation Gift Ideas! We love our hardworking school teachers! We have benefited from so many good ones over the years. I was a teacher at our local high school for a few years and taught science before I had too many kids. So I know the amount of time and effort it takes being a teacher! 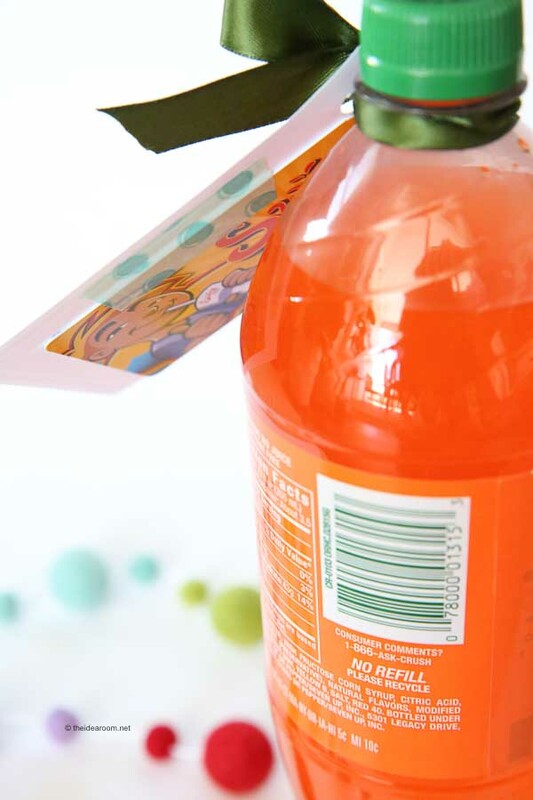 I always like to give our kids teachers a little fun gift and then attach a gift card to it so that their teachers can enjoy a little treat or a trip to the movies on us! 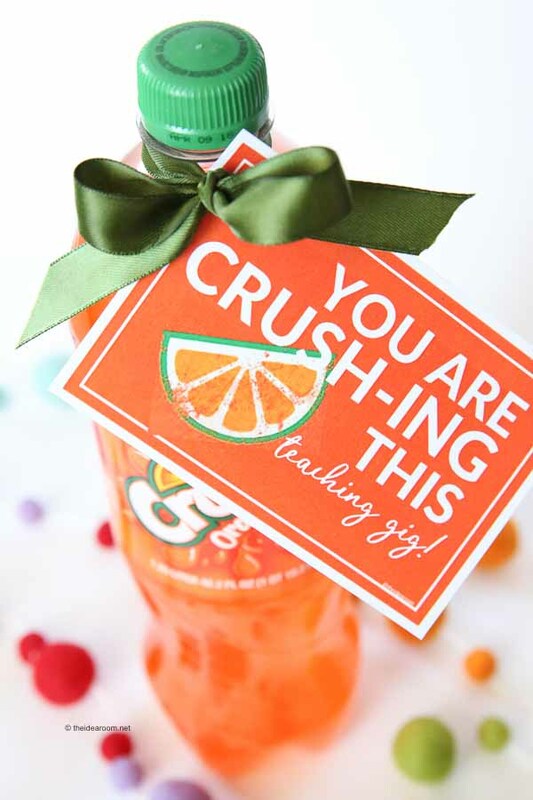 Now I have the teacher gift printables all ready to go this year! 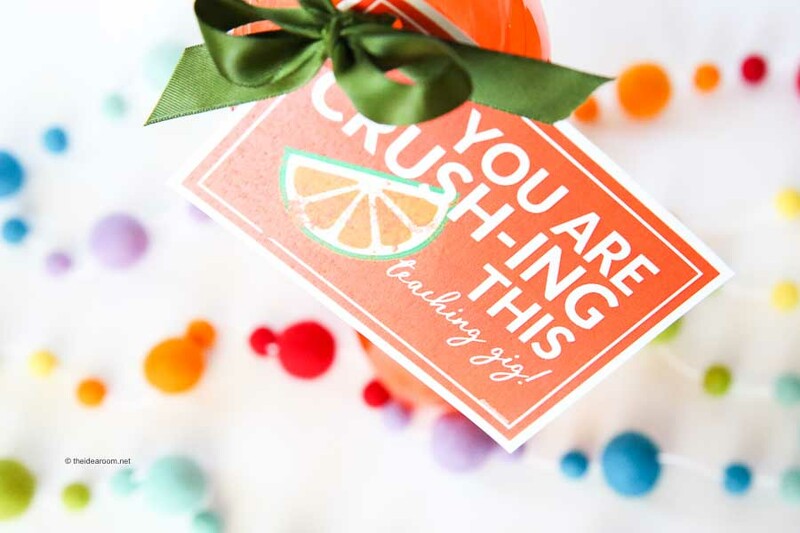 Go ahead and download these printables for yourself if you would like to use them for your Teacher Gifts this year! To get the download, simply click on the link below. You can print them on white card stock. There are four printables on each 8.5 x 11 inch piece of paper. I have shared some other Teacher Gifts over the last couple of year if you are interested in checking them out.